Well-connected engineers are better equipped to crack technical challenges faster. But competitive differences can prevent collaboration between businesses. Here Colin Findlay, Chairman of the British Valve and Actuator Association, argues that there are times when it makes commercial sense to work together. Collaborative engineering is widely touted as a way to solve some of the most critical and complex challenges facing industry today. However, while business collaboration with academia is widespread, inter-industry initiatives are comparatively rare. Reasons for this are mostly rooted in fear: businesses don’t want to expose their best people or new ideas to the competition. But there are times when the benefits of working together outweigh the risks. It doesn’t have to involve big-ticket projects, even small-scale collaboration can drive commercial benefits. Here are three scenarios where collaborative approaches have delivered tangible positive outcomes in the valve and actuator industry. Could they be replicated to deliver value in your engineering discipline? From BSI to ISO, API to ANSI, engineers are used to working within the parameters of industry standards. But increasingly stringent environmental and safety-led requirements can escalate technical challenges. This is compounded when guidelines are ambiguous or contradictory, or appear to be rooted in limited understanding of highly technical matters. Complaining about emerging requirements in isolation doesn’t achieve anything. Instead, businesses need to empower their engineers to collaborate with peers and interrogate guidelines at an early stage in a positive, constructive way. This can be leveraged via the associations representing relevant industries. For instance, the BVAA recently facilitated a joined-up effort to shape the Energy Institute’s new guidelines document for integrity management of valves in upstream and downstream hydrocarbon industries. The objective of the document is to convey how the end-to-end process of selection, purchase, installation, operation, maintenance and repair impacts valve integrity. While dedicated valve engineers are well-versed in this concept, the Energy Institute has identified a need to communicate it clearly at the plant management level. End-users responsible for valve integrity may not have the specialist valve expertise required to make informed decisions. 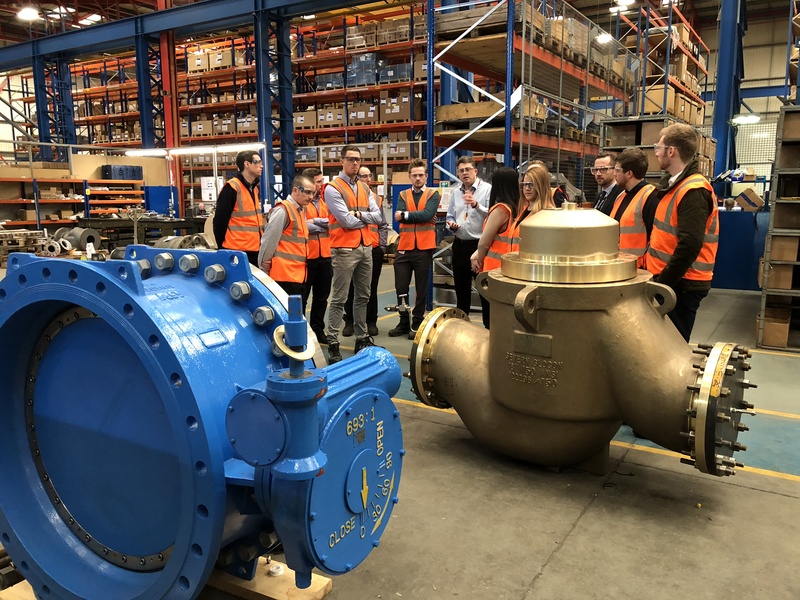 Along with the BVAA’s in-house technical expert, valve engineers from three manufacturers met with the Energy Institute and oil and gas operator representatives. Together, they discussed how to satisfy requirements for integrity management with practical guidelines rooted in technical knowledge. This shared investment of time and expertise means the guidelines are focused and purposeful. The resultant document ensures plant-based decision makers are aware of specific valve design elements associated with factors such as zero leakage to the environment, continual operability, isolation and control. The sheer breadth of engineering means as soon as you start an academic course or first job, you begin to specialise. And while you build up a good depth of skills and expertise in your chosen field, it’s easy to become blinkered to the wider world of engineering. This can be a problem, because there is so much connectivity and overlap between disciplines. For instance, while most valve engineers start out with a mechanical engineering qualification, a decent understanding of geotechnical or chemical engineering is clearly beneficial when designing technical solutions for industries such as oil and gas. Building links with other engineering businesses can foster well-rounded knowledge to underpin more intelligent problem solving. Here at the BVAA, we found this became a natural by-product of our Future Leaders Programme, where promising individuals from across the UK take part in a year-long professional development initiative. One of the FLP tasks is to organise an event for the other programme participants. Over the years, it’s become clear that the benefits of this go much further than developing the leadership skills of the host. Events in 2018 included a refinery tour, witnessing cryogenic testing of valves for LNG applications and a deep-dive into the science of oil and gas extraction as well as introductions to additive manufacturing and the many types of rubber lining for valves deployed in abrasive applications. These sessions give engineers a wider frame of reference and technical understanding when they’re facing design challenges. And the personal relationships developed are beneficial too. Back at work, one former participant — an engineer for a control valve engineering firm — encountered a problem with valve actuation. Instead of stalling the project while he sought advice through official channels, he phoned an actuator engineer he’d met on the programme. The upshot was that a technical issue which might have taken days or weeks to resolve was sorted out in minutes through an informal chat. Networking is not just for sales engineers. As evidenced in the ‘phone-a-friend’ example above, having a trusted network of industry contacts is beneficial for engineers of all disciplines. Create time and space to build relationships with peers outside the confines of your own employer. The advantages of this go beyond the technical aspects of engineering. It can also be helpful to understand that challenges and frustrations faced in your role may not be unique. An R&D engineer on the Future Leaders Programme was hugely encouraged to hear a senior head of R&D at a competitive organisation admit some of his projects had been ongoing for nearly a decade. Once he understood that juggling immediate needs with longer-term breakthrough innovations is a challenge for all R&D professionals, he felt empowered to take a more strategic and resilient approach going forward. Your industry association is likely to organise regular events where you can meet other likeminded engineers. If not, take the initiative and host one yourself. Occasional networking events or get-togethers can be augmented with more regular contact via platforms such as LinkedIn. Sharing news and views on industry developments is a great way to stay connected and well-informed. Collaborative engineering doesn’t have to involve high-profile ventures like those between industry heavyweights and universities. It can be an iterative process, starting at a small scale with links between local businesses or facilitated at events held by industry associations. Take the opportunity to interact with others. And if there are no opportunities, make them. Your engineering will be better for it.